Many in the west conjure images of deserts, palm trees, camels, and heat when thinking of the Middle East. The reality in Syria is that winters are bitter cold, with temperatures regularly below freezing. Gabriel has been faithfully reaching out to hidden Christian families in Syria with Alpha Relief's support. So when he told us about the need for heaters, blankets, and fuel, we just had to help. The destruction of war has made normal services and supplies unavailable. Centralized heating and modern insulation technology don't exist. But don't take our word for it, read what Gabriel experienced first hand below. "I just got back from 2 days trip to Syria. The goal of this trip is to help the suffering and displaced Christians get some heating materials. As I shared with you, now it is winter and the temperature in Damascus goes very low and below freezing, people need heaters, fuel, blankets and warm winter clothes. Unfortunately many of those people cannot afford buying those necessities. During our last 2 visits fuel, gas, heating fuel were not available on the market and people had to buy them on the black market which make the prices higher. To add to the Syrian people misery, electricity was supplied only 2 to 4 hours every 24 hours. 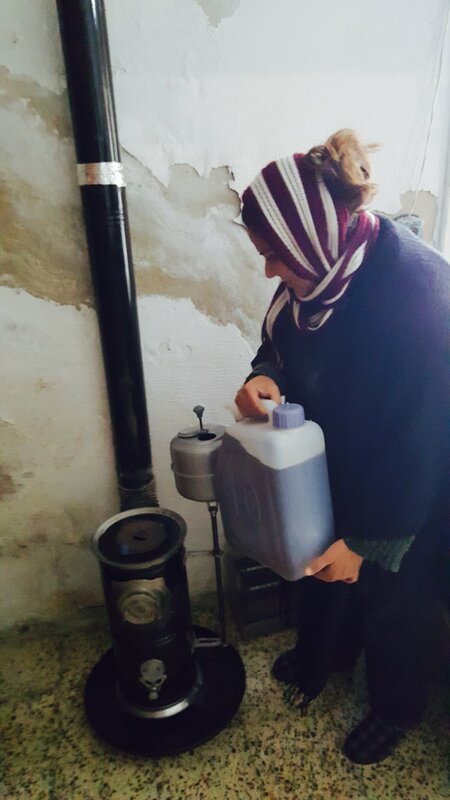 The plan: We decide to buy, gas heater and gas bottles to distribute on those who don’t have any means to warm themselves. Those who already have fuel heaters, we will try to supply them with the fuel. Also we are distributing heavy duty blankets each family according to their needs. This plan will be running over the next few weeks, possibly all the way until the mid of March. We have started yesterday, buy buying and distributing the above mentioned materials." Older PostHELP SEND THE LIGHT!